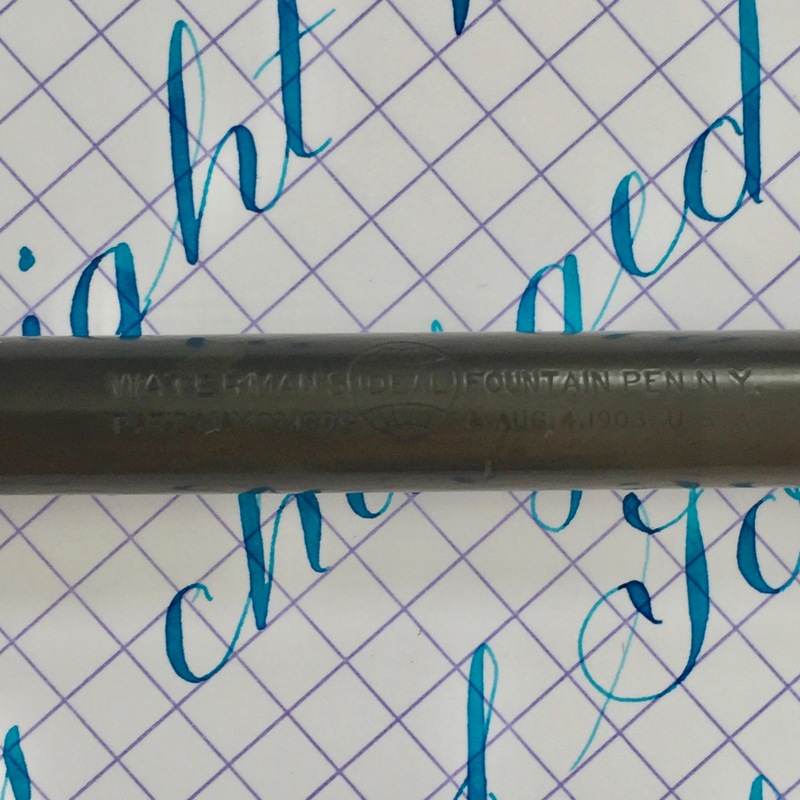 This Waterman 12 came originally clipless and without chasing. 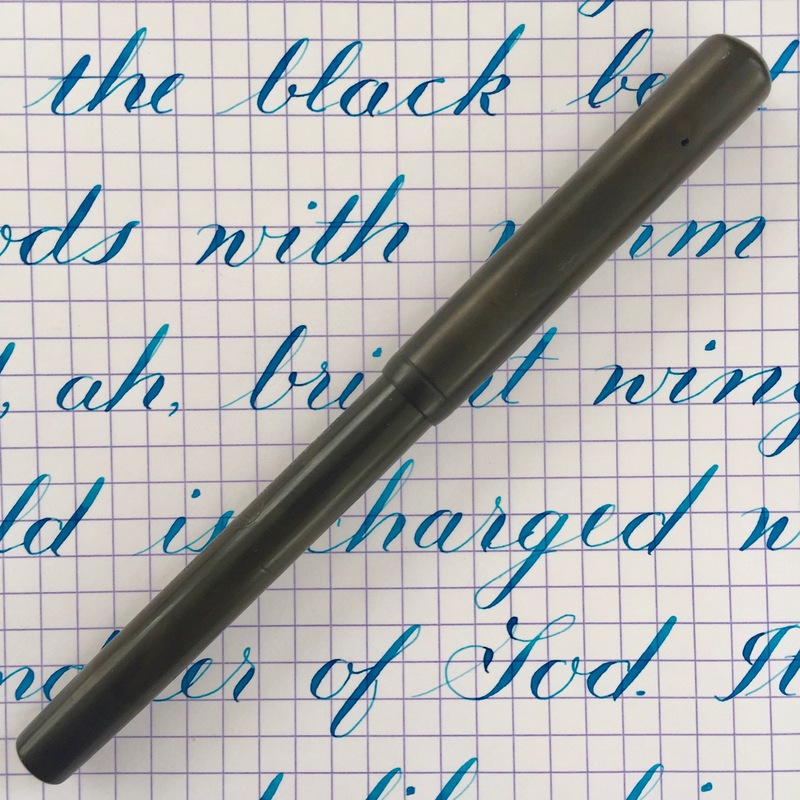 The pen looks to have been left in the son at some point as the black hard rubber has faded unevenly. On one side it is a dark brown. On the other a bit littler medium brown. Imprints are still good and readable, and there is the more uncommon imprint on the cap. 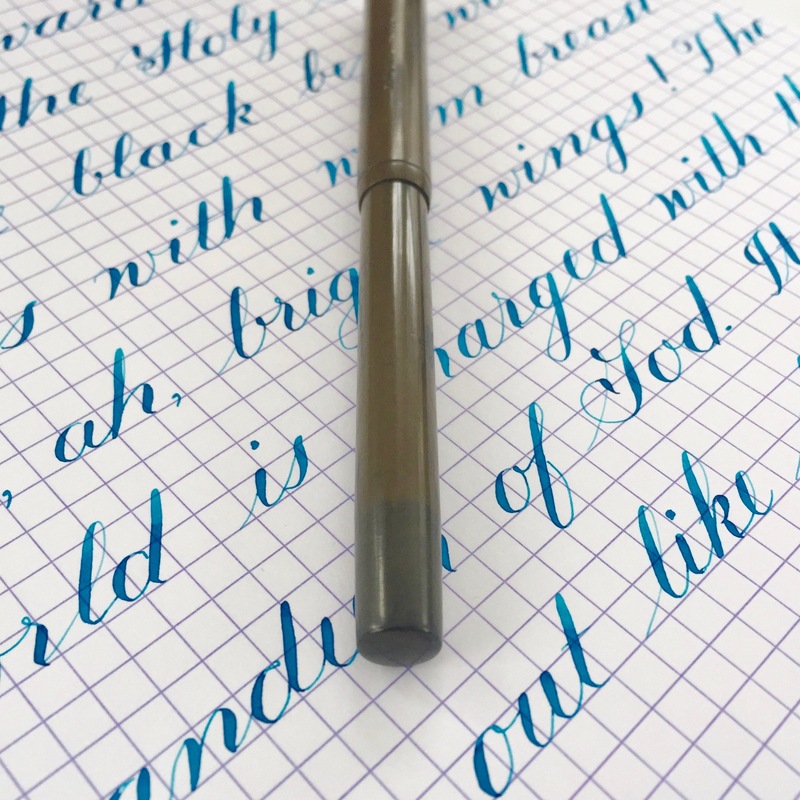 But the beauty of this pen is the nib. 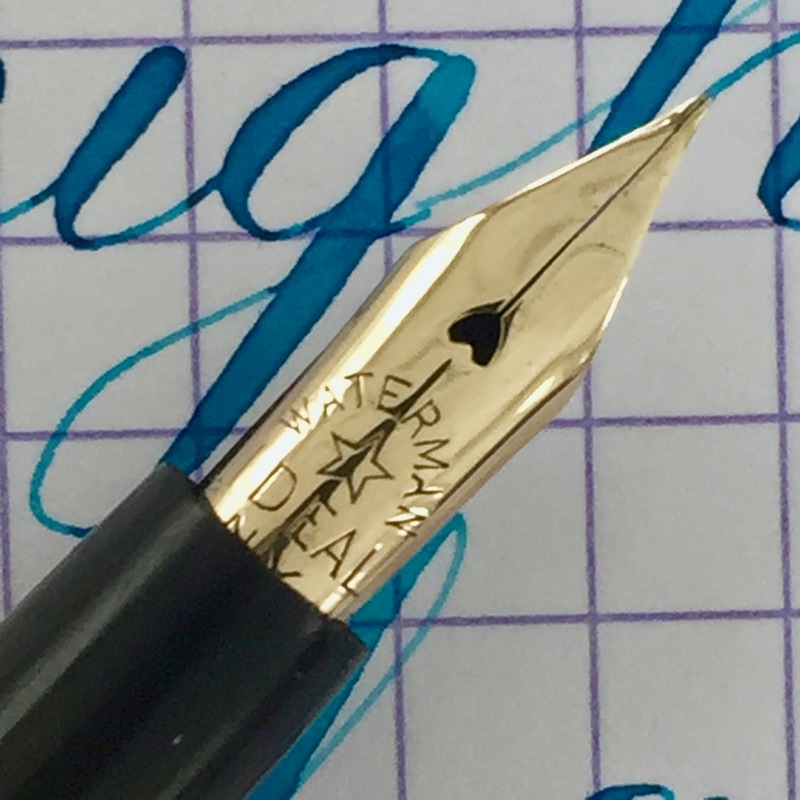 This 12 sports the hard to come by “star” nib, which is one of the early versions of Waterman nibs. 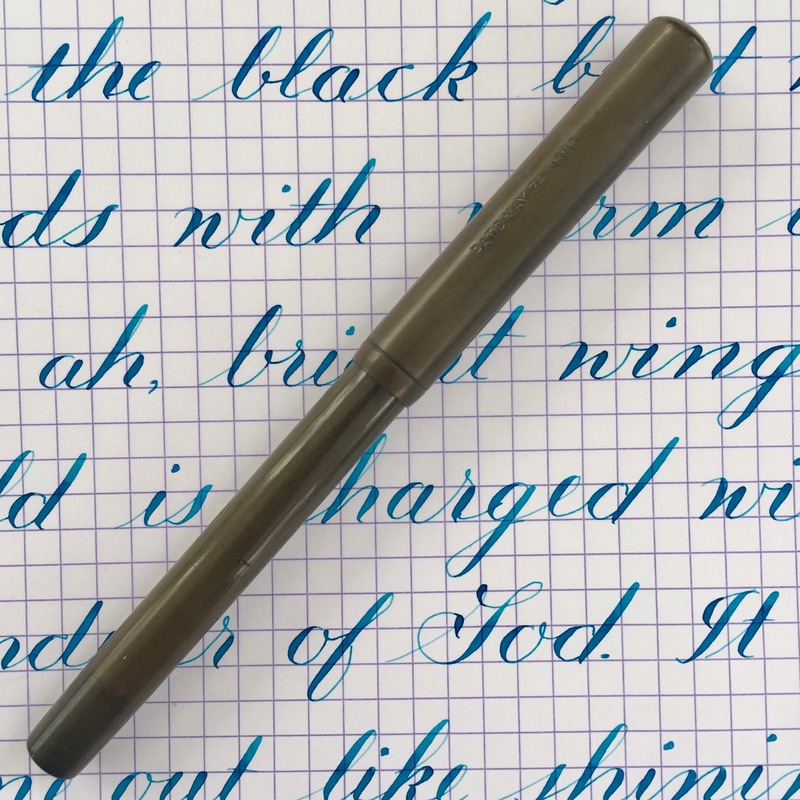 This 14kt #2 nib is an ultra fine (0.2mm) nib that is perfect calligraphic writing. 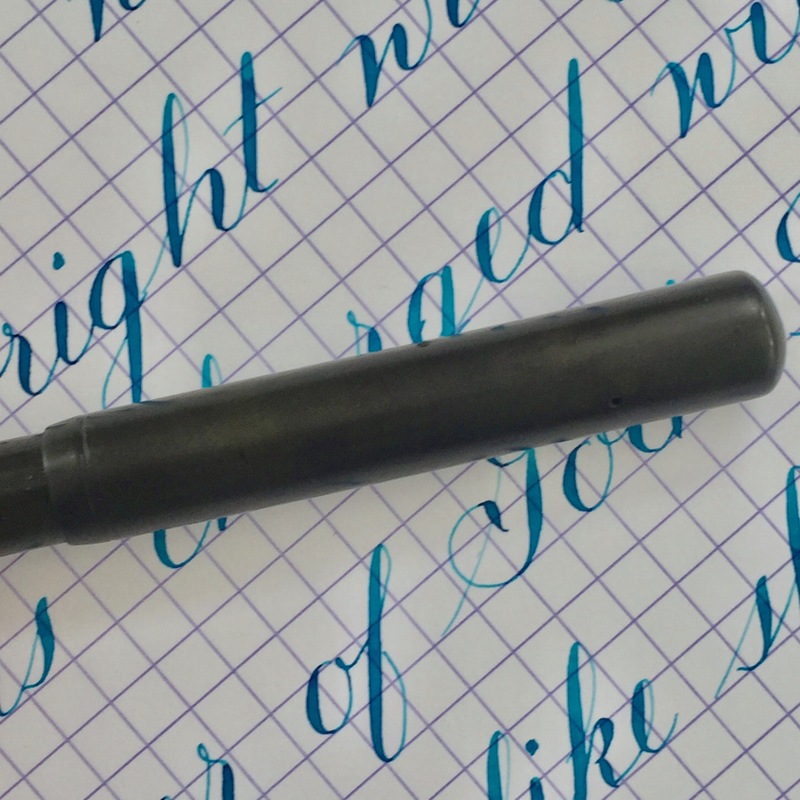 It is a soft nib, though not quite paintbrush, that is also superbly responsive. 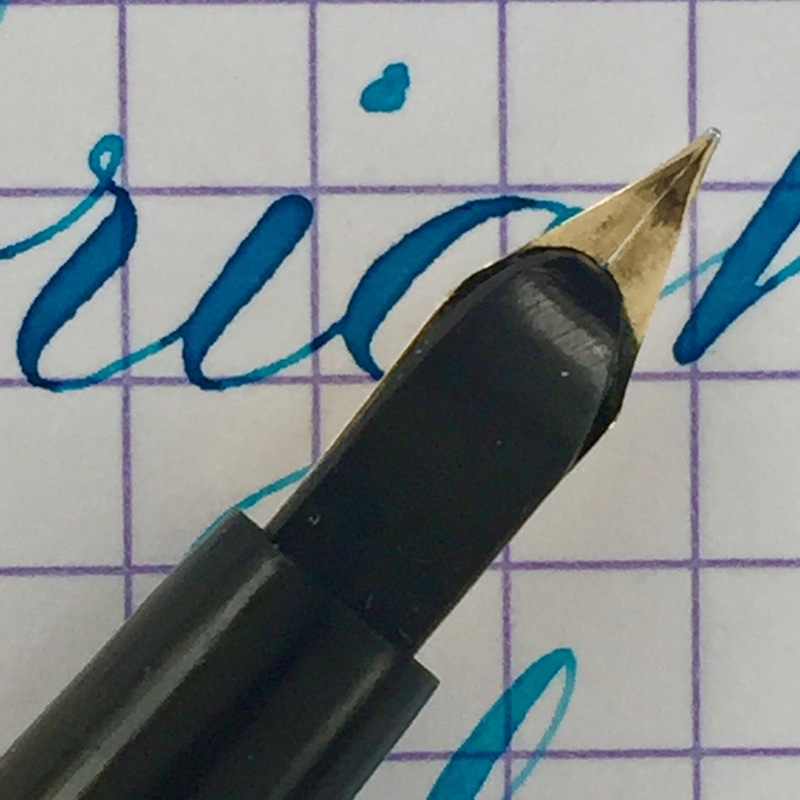 It is reminiscent of a dip nib. 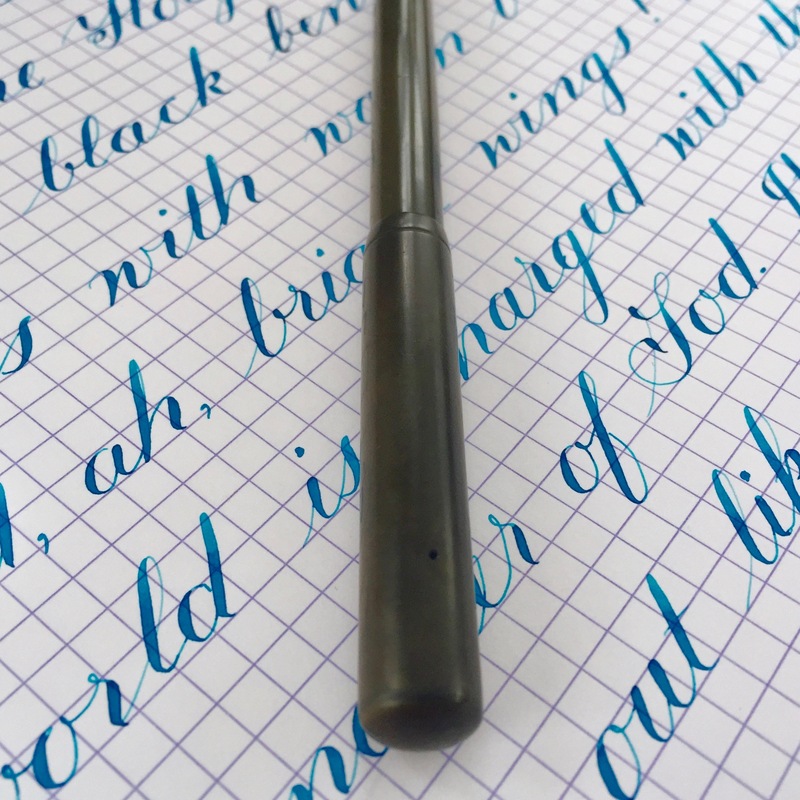 If you are looking for a soft nib capable of hairlines and great responsive action for art or calligraphy, this is it. Plus, it is a highly collectible star nib.